You’ve heard me wax poetic many times about Miami’s spectacular beaches as well as those on the Gulf of Mexico in the Tampa, Clearwater area. But there’s one thing Florida’s beaches don’t have – pink sand. That claim belongs to Bermuda, an island approximately 665 miles east-southeast of Cape Hatteras, North Carolina. Bermuda is lined with coral reefs, which are home to red foraminifera, single-celled organisms that live in shells made of red-colored calcium carbonate. When the foraminifera die, they fall to the ocean floor and their shells get washed to shore by the tide. Their red color gets exposed to the sun and mixes with the sand, thus giving Bermuda’s beaches their famous pink shade. 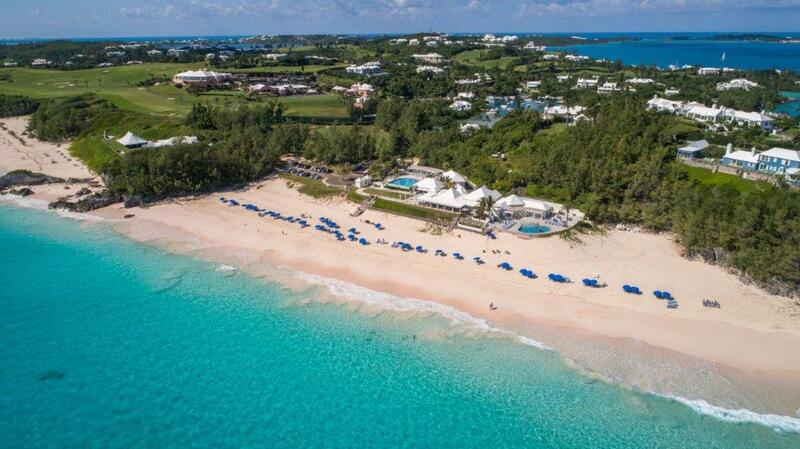 But there’s a whole lot more to Bermuda than pink sand that makes it an extraordinary place to own a vacation home. Read on for my rosy description of today’s featured property. The three pink buildings on the water’s edge are the Harbour Court Private Residences available today. Harbour Court Private Residences is a private residence club located within Tucker’s Point, a magnificent development consisting of 240 acres of prized waterfront land in Bermuda. 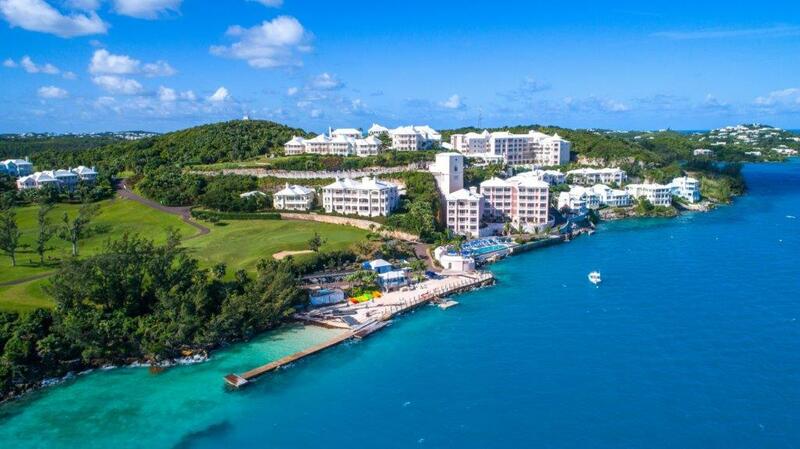 It encompasses an 18-hole championship golf course and club house, a legendary beach club with one of the island’s largest private beaches, a top-notch tennis club, a variety of restaurants, four lounge/bar venues, four swimming pools and limitless spaces to gather. 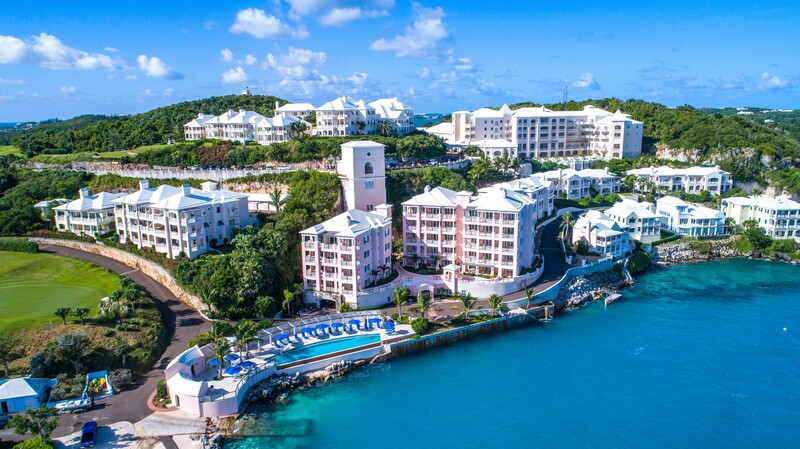 At the heart of Tucker’s Point is the 400-room Rosewood Hotel, previously sold Golf Villa Private Residences, and the Harbour Court Private Residences with fractional sales available now at greatly reduced pricing. I’ll explain why they’ve been reduced in a moment. Harbour Court includes 140 fractional intervals of which only 46 remain available. Harbour Court is of five-star quality. It includes two five-story buildings and one four-story building. Together they contain 14 residences offering 10 vacation intervals in each, for a total of 140 intervals. Still with me? Of the 140 intervals, only 46 intervals remain available: 26 two-bedrooms and 20 three-bedrooms. The rest were all previously sold. The intervals are a deeded ownership opportunity that provide five weeks of usage per year with the benefit of additional flex weeks upon request and availability. As I mentioned, the fractionals are being offered at greatly reduced prices, despite having just undergone a major renovation. Here’s the back story. In 2008, Harbour Court was built and offered for sale. Unfortunately, the timing was bad for real estate and sales were slow. By 2013, Tucker’s Point was carrying too much debt and was in need of financial restructuring. It continued to operate throughout a five-year receivership until it was purchased by a new resort owner in 2017. The property’s developer is Gencom, a U.S. investment firm that owns luxury resorts and hotels around the world. 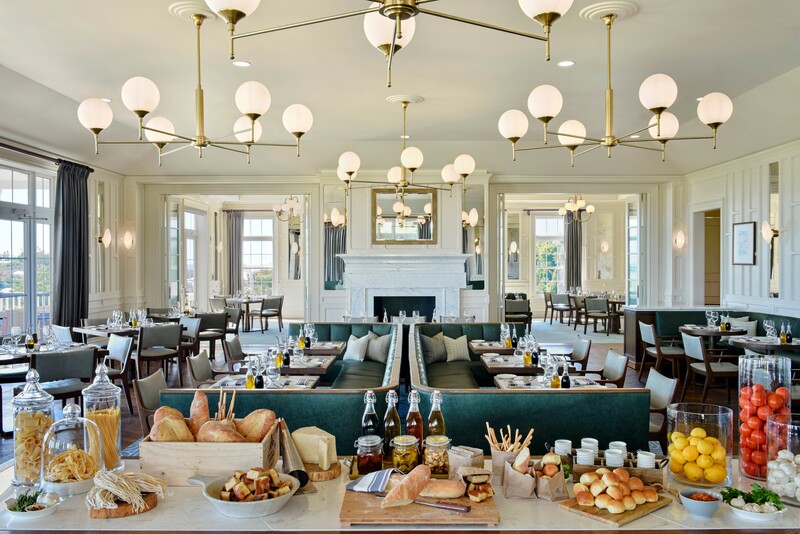 Gencom bought the entire Tucker’s Point out of receivership, and by the end of 2018, completed a $25 million renovation of both the Rosewood Hotel and Harbour Court. Now, being offered to the public for the first time by Gencom, are the remaining unsold 46 residences at Harbour Court. Gencom wishes to pay off the debt on these buildings and move ahead with greater plans for the remainder of the resort. And for that reason, today I’m able to offer you the remaining fractionals at deeply reduced prices. Tucker’s Point includes a variety of restaurants and lounge/bar venues. Residents can enjoy the 18-hole, par-70 Charles Banks Golf Course. 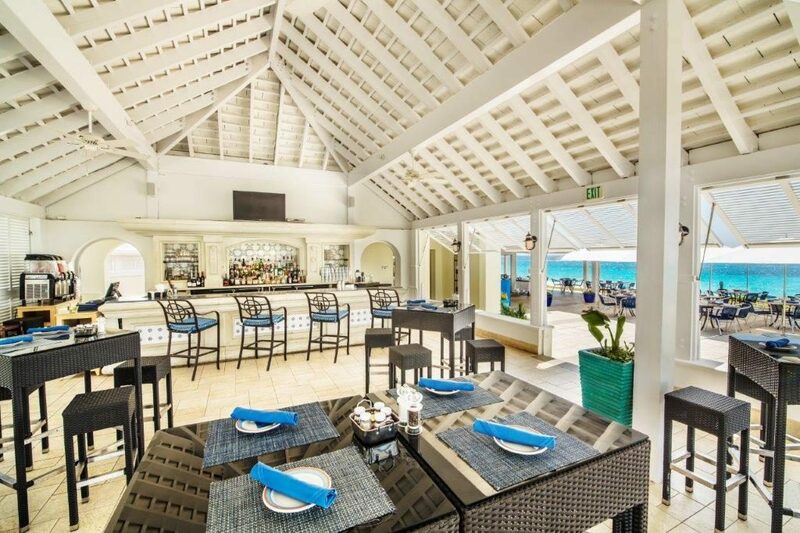 The resort’s restaurants celebrate local ingredients and Bermudian-inspired cuisine. 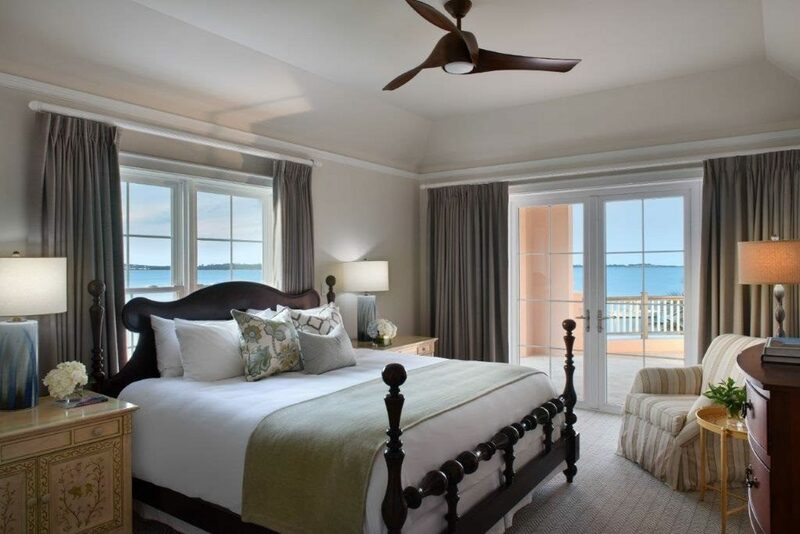 Each residence is decorated in classic British seaside style with distinctive artwork, elegant fabrics and furniture. The residences are fully furnished and equipped, ready for use. Master bedrooms have private terraces with two-person sunbeds and grill. Master bedroom opens onto private terrace with grill and sunbed. Bathrooms have double vanities, separate bath/shower, stone/wood finishes. 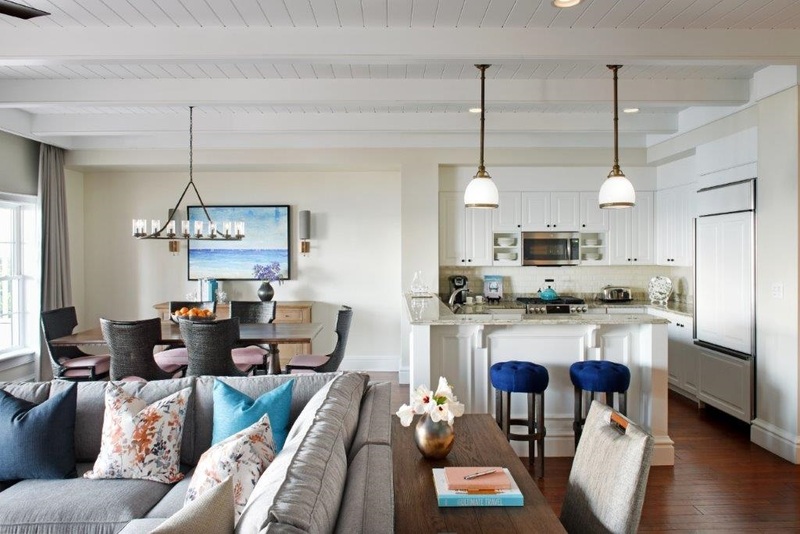 The residences are spacious and designed in contemporary open-concept style. For an island that’s only 21 miles long, Bermuda is brimming with things to see and do. 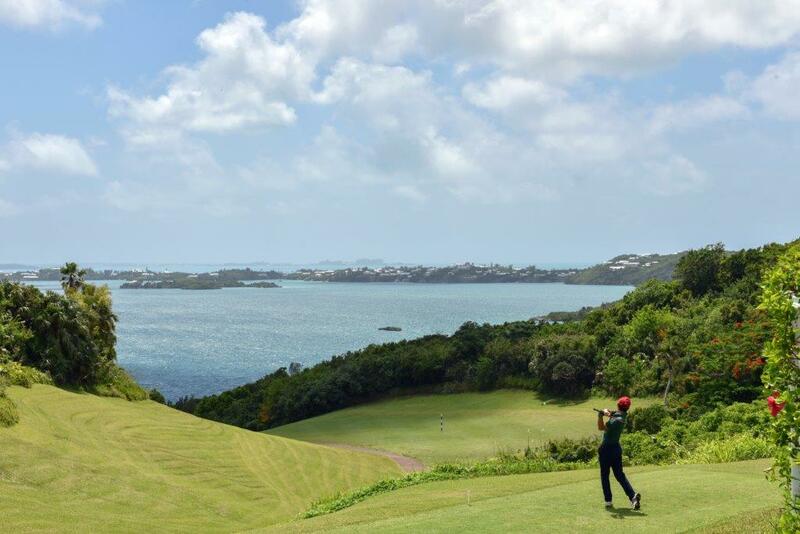 Whether you’re a history buff, art aficionado or nature lover, Bermuda has something for you. 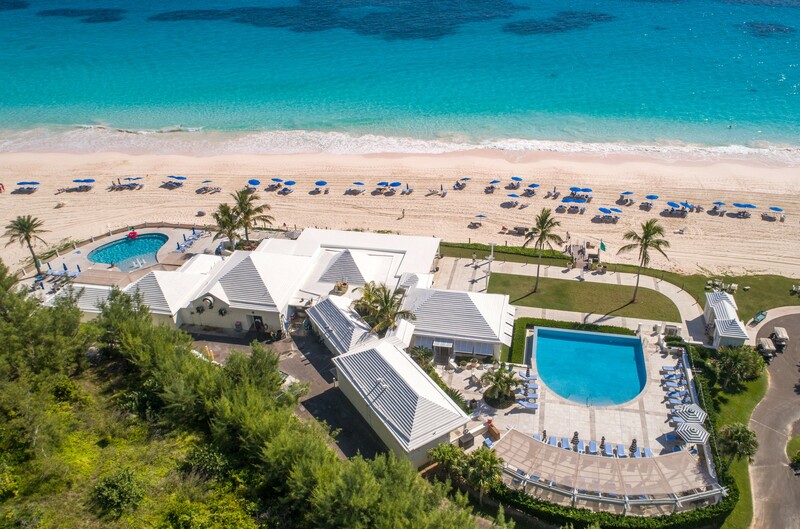 The Tucker’s Point resort is only 2.6 miles (15 minutes) from Bermuda’s international airport with service from numerous cities along the eastern seaboard in the U.S. and Canada, as well as London, England. It’s a 2h, 40m flight from both Charlotte, NC and Miami, FL. A new airport terminal is slated to open in 2020 and will offer more daily flights to key markets like Washington, D.C., Newark and Chicago. In addition to having flexible and generous access to your residence throughout the year, owners enjoy exchange privileges to an elite group of Residence Clubs in the U.S., Mexico, the Caribbean and Europe. The exchange program is offered through Elite Alliance, which is continually growing its portfolio of properties. Harbour Court was originally built in 2008. All of the residences were completely renovated in 2018 and are move-in ready. Ownership in Harbour Court is hassle-free. All maintenance, upkeep and usage are managed by the property’s own dedicated on-site staff. As I mentioned earlier, the 46 residential intervals remaining out of the total 140 are being sold at reduced prices so that the developer can pay off the property’s debt and move onto other projects. Ownership in Harbour Court is hassle-free with onsite management handling all upkeep. In pre-receivership, the two-bedroom units sold for $325,000+ and the three-bedroom units sold for $425,000+, but they are now being offered at the following low prices. As you can see, the savings are significant, which is why this opportunity likely won’t last long. Want to know more? I have plenty of additional details. Just request my data sheet below. Request the Harbour Court data sheet here. While Bermuda is best known for its pink beaches, that’s not its only claim to fame. Among its other celebrated qualities is its world-renowned rum, specifically Goslings Black Seal (80 proof), and the rum cakes in which it’s the main ingredient. 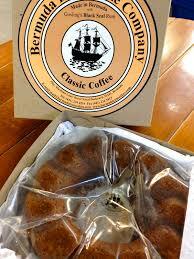 Bermuda claims to make the world’s best rum cakes. The Bermuda Rum Cake Company is the island’s micro bakery where you can find every type of rum cake imaginable from traditional rum cakes flavored with lemon and vanilla, to the classic coffee-flavored rum cake, to the Christmas rum cake that features tart cherries. Again, if you want to know more about Harbour Court, be sure to request my Harbour Court data sheet. And if you’d prefer to feel golden sand beneath your toes rather than the pink sands of Bermuda, just let me know and I can give you a complete rum-down of the properties available in Florida.